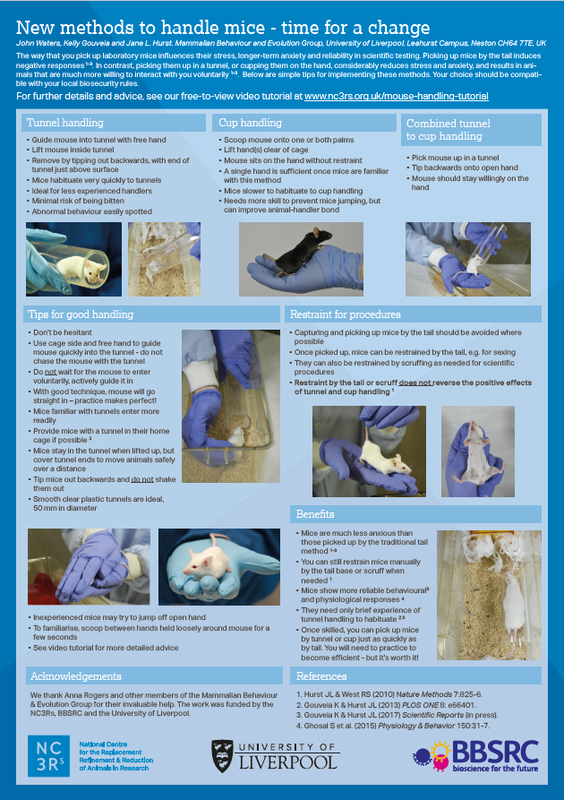 To support the adoption of non-aversive methods for picking up mice, we have produced an A2-sized poster for display in animal facilities and laboratories. To request copies, please email enquiries@nc3rs.org.uk (please provide a full postal address and the quantity of posters required). The posters are free and there are no shipping costs.